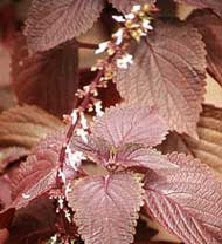 Medical plant Iler or(Coleus scutellarioides, Linn,Benth)have The trunk is erect and creeping herb with stem heights ranging from 30 cm to 150 cm long, rod-shaped container has a rectangular shaped and includes wet vegetation categories which stems break easily. Leaves: heart-shaped and decorated at each end by the ellipsoid-ellipsoid or thin curve is continuous and supported by leaf stalks and have a variety of colors. Flowers: Shaped Stackable wreath, flowers appear at the top of the shaft rod. Growing Conditions: medical plant ller can flourish in the low altitude of 1500 meters above sea level. Slobber can be obtained around the field edges of rivers or rice paddies and rural roads as wild plants.